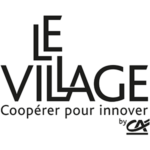 Le village by CA is a value creation ecosystem, as well as a startup incubator that helps high potential companies. The first village was created in 2014 and the whole network has now helped more than 300 startups and leveraged over 120M€. The students working on the project will contribute to the implementation of a new village in Sophia Antipolis, work on the village identity and events schedule. 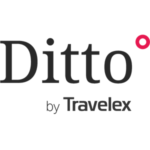 Ditto is backed by Travelex, the world’s leading specialist provider of foreign exchange. It allow users to have centralised accounts in the currency of their choice. The students working on the project will contribute to the launch of Ditto in France and work on the company’s acquisition and retention strategy. Historic professional basketball club, Antibes’ Sharks is the most title winning team of the national league. Eight times winner of the national championship, the team plays in a 5000 seats stadium : the AzurArena Antibes. The students working on the project will contribute to establish the club’s marketing communication on social networks to build a creative, original and viral communication campaign. The funeral company was created in 2002 by Franck Andrio. It now has 5 stores in the area and has 15 employees. 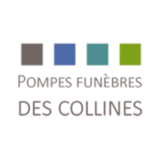 Pompes funèbres des Collines is also member of an independent funeral network of 180 members. The students working on the project will contribute to the company’s digital transformation : digital strategy, communication and marketing. 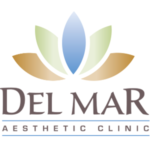 Delmar Clinic is the office of Henry Delmar, a medical center specialised in plastic surgery. The students working on the project will contribute to the company’s strategy as well as its online reputation optimisation. 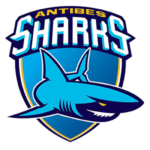 Historic professional basketball club, Antibes’ Sharks is the most title winning team of the national league. Eight times winner of the national championship, the team plays in a 5000 seats stadium : the AzurArena Antibes. 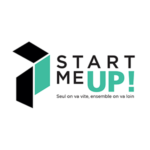 StartMeUp is an incubation program hosted by the club to help startups. The students working on the project will contribute to the company’s communication campaign and help about the selection of the Sharks 2018 startups. 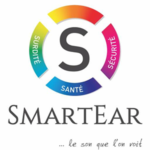 SmartEar creates devices that take advantage of technology to make disabled people’s life better. It allows deaf people to “see sounds” in their habitat and workplace. The students working on the project will contribute to the company’s communication plan, digital communication plan and develop its brand image on the internet. 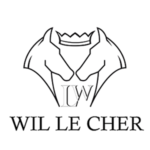 The company Wil Le Cher is a creator of medium/high-end jewels created in 2007. It has 2 entities with different targets: Mougins / medium range – Cannes / high-end. 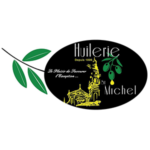 The company has been selling several mediterranean oils for more than a century. It brings its product out by offering creative and bold recipes. The students working on the project will contribute to the company’s e-commerce launch, establishing its commercial and marketing strategy. 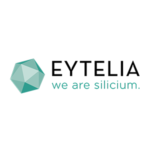 Eytelia has acquired 21 years of experience in the manufacture and distribution of food supplements and body gels based on organic silicium. The students working on the project will contribute to the company’s audit and analyse its current eCommerce activities. 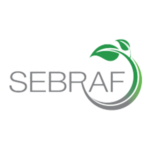 With a patented revolutionary technology, SEBRAF designs, assembles and markets machines for gardeners and farmers, in order to stop using plastic sheets, pesticides but moreover, reusing green wastes. The students working on the project will contribute to the company’s marketing strategy, along with its communication. CROS Côte d’Azur is the first sports liaison in the region. They offer sports trainings – supporting leagues and clubs, which help athletes build experience. The challenge for students working on the project is improving CROS Côte d’Azur’s website in terms of look-and-feel and content and conveying information more easily and to the right person. One of their main goals is to increase CROS Côte d’Azur’s visibility and notoriety through digital communication to become the reference for the french National Olympic Comitee. 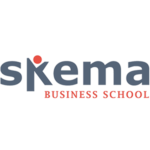 SKEMA Ventures is the business unit in charge of coordinating Entrepreneurial activities within SKEMA as regards teaching, project incubation, and partnerships with stakeholders of the entrepreneurship value chain for each SKEMA Campus. The students working on the project will develop a blog that will make SKEMA Ventures visible and deliver all relevant information in the scope of SKEMA Ventures to the internal and external community. The students working on the project will contribute to develop a stronger community, to propose a true SKEMA experience on social media, to show our students’ successes, to stay innovative.